An easy dish with simple ingredients that come together to create something amazing. 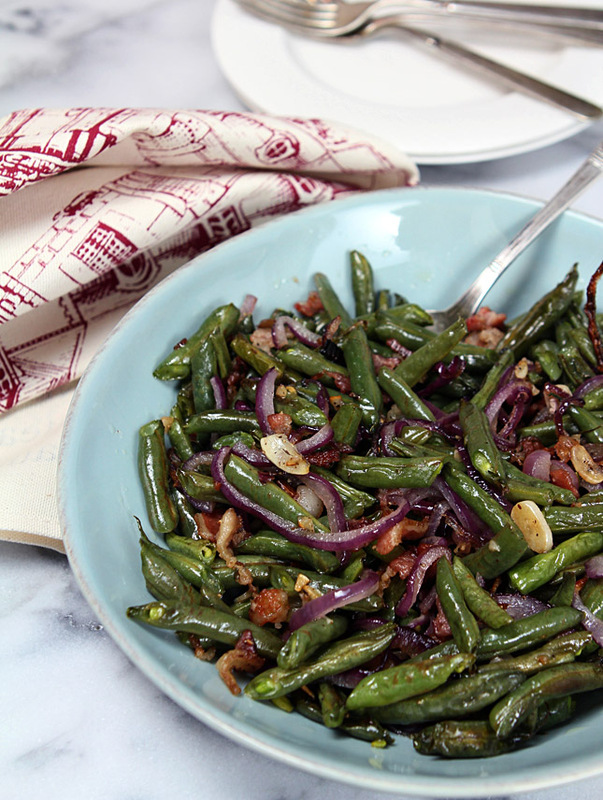 These Roasted Green Beans with Pancetta, Red Onions and Garlic are one of my absolute favorites. 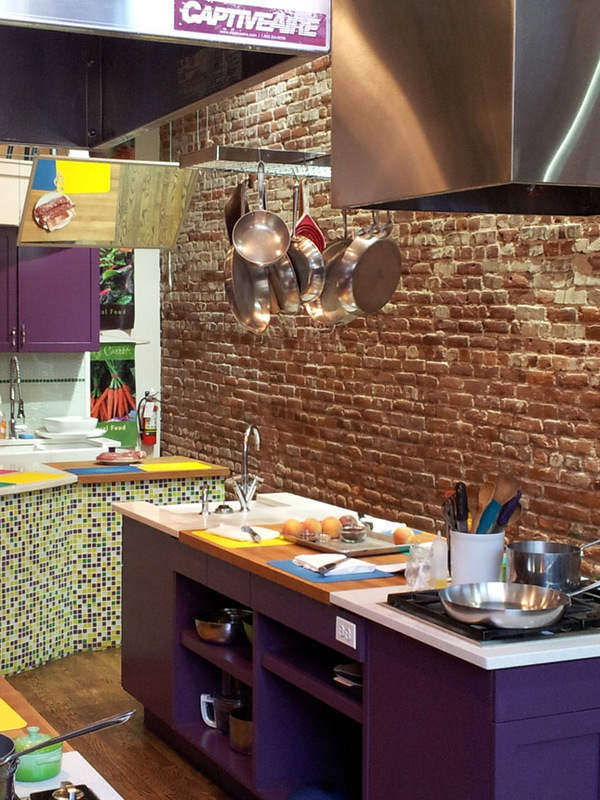 Several weeks ago I heard from a local PR firm that wanted to share with me information on Stir Cooking School, a local venue in the Highlands area of Denver. I get a lot of press releases about local happenings but since my posts are primarily about what’s going on in my kitchen they might be interesting but not typically something I can do a lot with. However, in this case, I offered that I would love to come and visit their facility to do an interview and potentially share with my readers via a post. There is always one caveat…a recipe is required! They did even better and invited me to attend a class and suggested I bring a friend along as well. Well…sure!! I was given a calendar of classes to choose from but anyone who has read this blog for even one week should not be surprised at the one class that popped out at me and wrapped me up in it’s firm little fingers. Bacon and Booze? Oh, yeah baby. That was the first of many delightful surprises. I invited my friend Ansh, another local blogger, to accompany me. Ansh is from India and while she is my resident Indian food expert (I SO love this dish I ask her to bring to EVERY event I schedule with local bloggers), she is also accomplished in several disciplines and beyond that I knew we would have fun together. What I did not know was that even though she always gives me such sweet praise for the cocktails I make for Friday Cocktail that she had never actually made one. Nope, she gives the recipe to her husband and has him do the honors. So I thought this was truly the perfect experience for her; it’s cocktail making time! Yes she got into it! The class was divided into two equal groups; one would be working with Brennan in the bar area while the other group started in the kitchen. Then we switched a couple of times. Two rounds in the bar and two in the kitchen. I can’t stress enough how pleasantly surprised I was. I didn’t expect anything bad but I also never expected to have such a great experience. The place is just beautiful but in a very cool sort of way and everything was the best. Pots, pans, cutlery, ovens…everything. The owner Katy is a chef and more and it shows in her attention to every detail. I felt that way before I had even one taste of the AMAZING food! 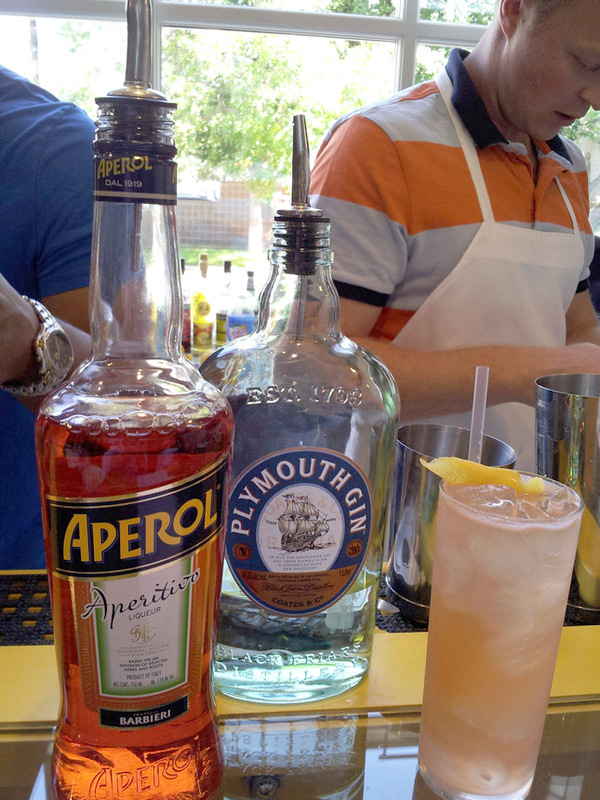 Our first cocktail was an Aperol Sour; easy, tasty, pretty too. Aperol is combined with gin, lemon juice, simple syrup and soda water and garnished with more lemon and it was a most refreshing cocktail. I love the Aperol Spritz cocktail so I was expecting this to please and it didn’t let me down. I think I might even like it better. Don’t tell my Italian friends please? Our second round of the ‘Booze’ course was really special. A Bacon Infused Manhattan. Yep. Bulleit Bourbon is infused with bacon and used in the making of a Manhattan. Very subtle but so very good; I’ll be including the details on a Friday Cocktail post soon. For our two rounds of cooking Ansh and I were paired up at a table with two other students. 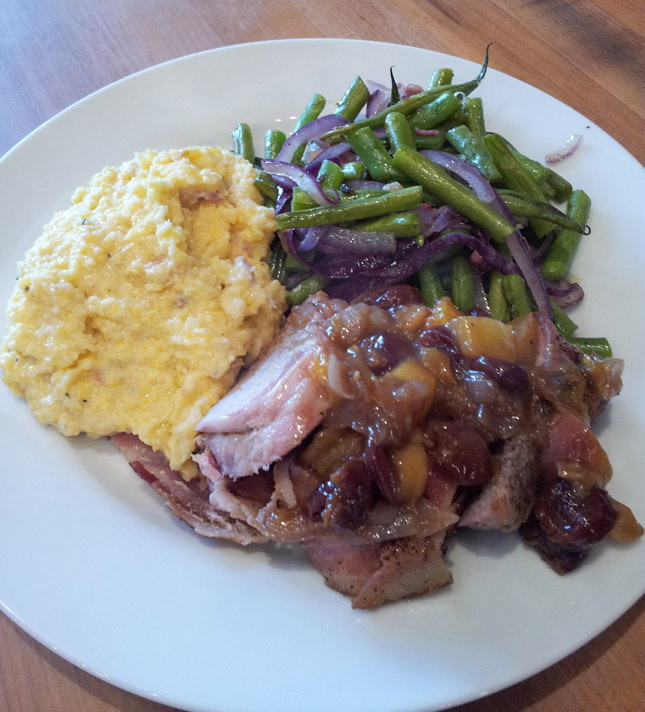 Each pair made pork tenderloin wrapped in bacon, creamy polenta with smoked gouda and bacon and the green bean with pancetta and red onion dish I’m featuring today. Your mouth is watering isn’t it? Even better? Each cooking station had just 4-6 people so everyone was actively involved in the cooking. Ingredients were proportioned and the staff of chefs was attentive to each group providing both instruction as well as answering questions. Maybe the best part? They did all the dishes! OK, maybe not best but since I’ve been staying in a household that thinks the dishwasher is an evil contraption (why else would someone not use it?!! ), not having to do dishes was a dream. Our event was a certified pork-a-thon. How can you not love pork tenderloin wrapped in bacon. Oh my. It was amazing. Delicious. The Bomb. We also made a Peach and Dried Cherry Balsamic Chutney to serve with it. Yes, I will post this recipe one day too. Probably after I move though (4 weeks and 3 days but who’s counting? ); this was meant for my NEW kitchen with a gas range (I’m so excited!). The Creamy Polenta with Smoked Gouda, Bacon, Lemon and Rosemary? I could sit down with nothing else and be a very happy camper. 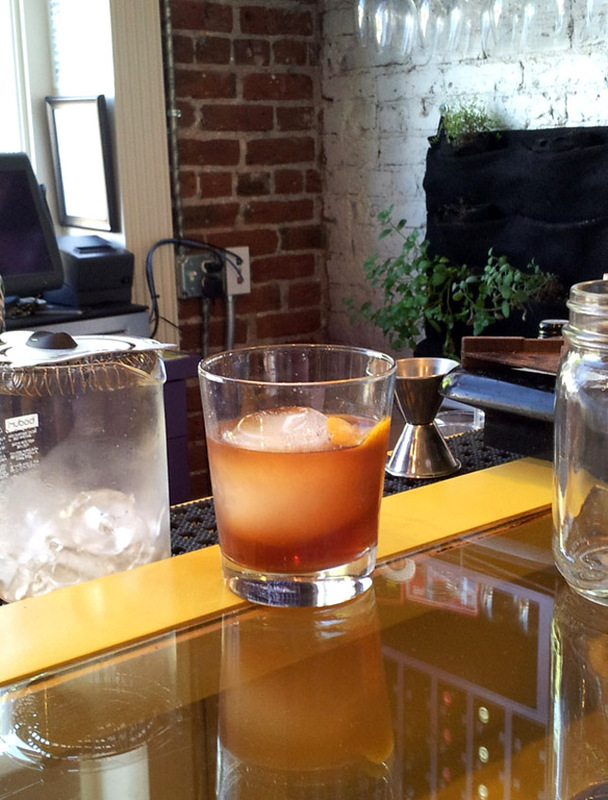 It was really very easy; yes, some patience is required but have a sip of that Bacon Infused Manhattan and relax! 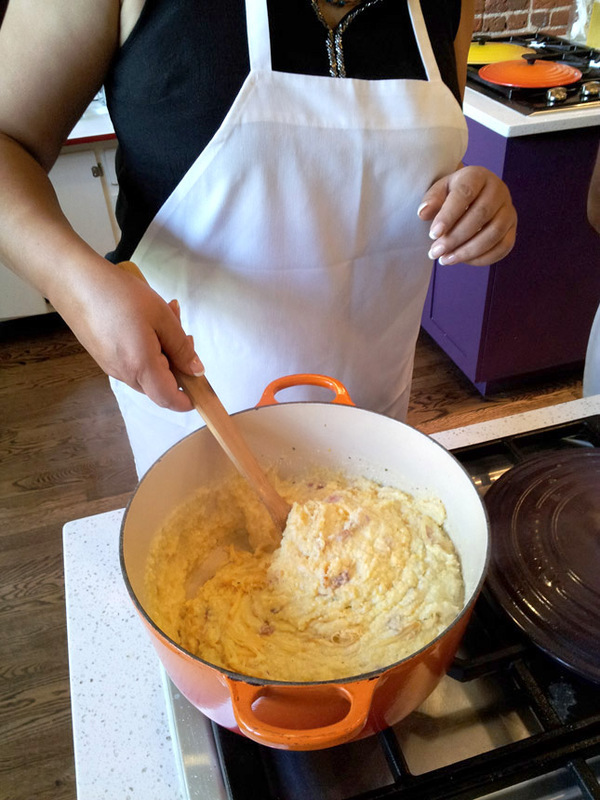 Ansh and I coordinated our posts today so you can hop over and meet her but with a bonus…she made this most amazing polenta EVER. We might have tossed some coins deciding who did what because that polenta is so good and you might have thought I lost but you know what. I LOVE these green beans. Talk about an easy, easy dish but one with just perfect flavors. Everything is mixed together on a sheet pan, roasted and then served. I made it again the other night and took it one step further. I covered the inside of my sheet pan with aluminum foil. Cleanup? What cleanup? I served them from the pan and then just tossed the foil and voila. Done. A dish this tasty should be harder. Be glad it’s not and make it soon. I think it a great alternative for the upcoming Thanksgiving holiday if you’re not of a mind to make that green bean casserole thing that is outdated and all processed foods (you know what I’m talkin’ bout!). Besides…this is better. So much better. Dinner is served. I used my phone to take photos onsite and this one simply does not do the finished plate justice. Everyone gets a plate and goes upstairs to sit with the entire class and enjoy a meal. It’s convivial and fun and Ansh and I must have said over and over how much we loved the experience. This is a cooking school though and if I’m honest I’ve probably got enough years experience that the teaching part of the sessions were skills I was familiar with but it’s wasn’t my experience that mattered in that realm; it was that of everyone in the class with us. Couples that cooked but thought a meal like this far beyond their capabilities and left knowing it was not. A group of older women who needed a kickstart to get back in the kitchen. One fellow who loved to cook was there with his girlfriend who make it his birthday gift. Know someone who shows a desire but needs some hands on help? What a great Christmas gift a class would be! 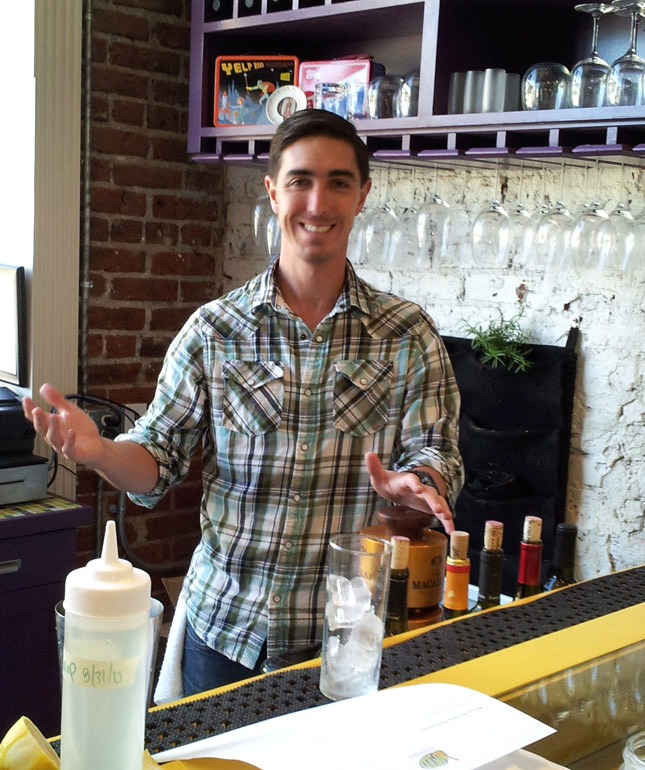 If you’re in Denver you can even get a cocktail from the small bar area and watch classes in session. The two areas are separated by a wall of glass sliding doors…very cool. It kept our groups separate but not if you know what I mean. The decor was warm and fun and well, we had a total blast. Ansh and I want to go back; wouldn’t it be fun with a gaggle of girlfriends? Stir – we LOVED you!! 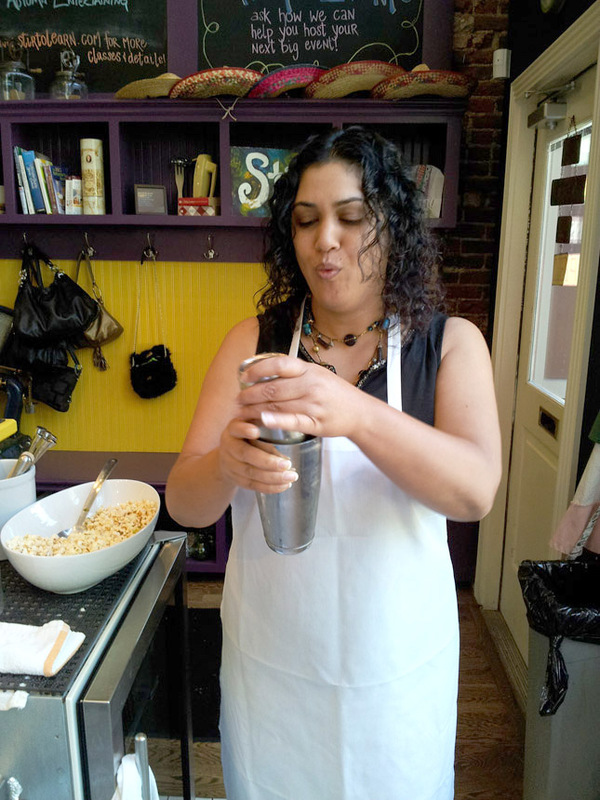 For more information visit Stir Cooking School and be sure to check out their classroom schedule. Thinking of visiting Denver? I suggest you put this place on your agenda stat! 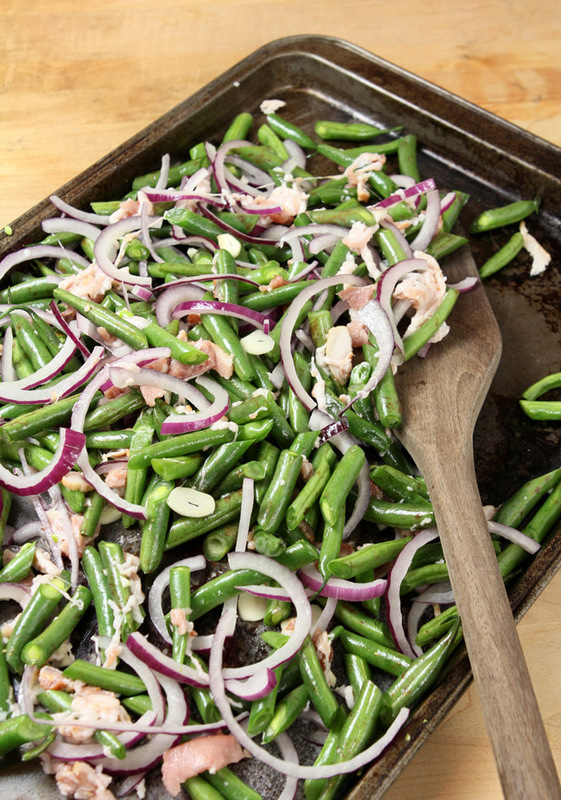 Toss beans, garlic, pancetta and onion with olive oil on large rimmed baking sheet. Season with salt and pepper. Roast until browned and almost tender, stirring occasionally; 10-15 minutes. Add lemon zest, mix and serve. What a fabulous edition of your blog, Barb! The recipes are all very appealing, and the photography is gorgeous! Thank you! Thanks Susan, it was such a fun experience and what a meal; that alone is worth going to a class for! Wow, this looks like a great cooking school, and I love the sound of a Bacon & Booze class – that’s speaking my kind of language. I totally want to try a bacon infused cocktail, and this bacon and bean dish looks wonderful too. It was fabulous; way beyond my expectations. 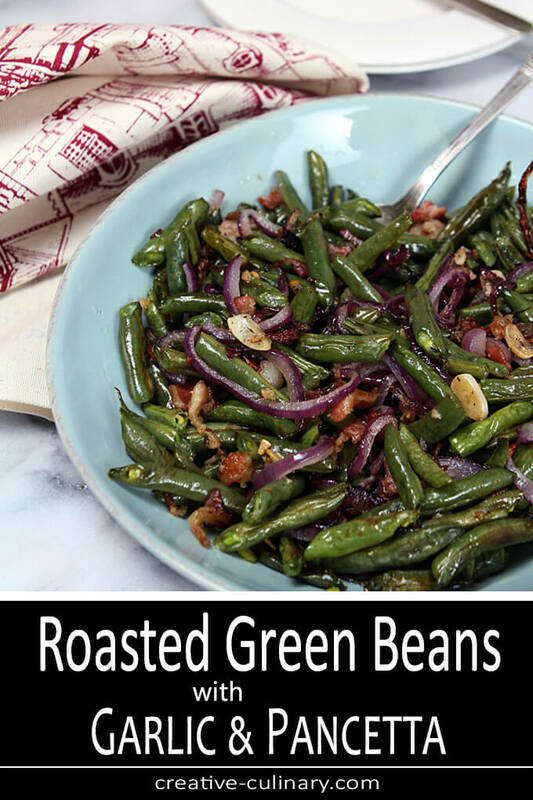 The greens beans are so simple to make; using the best fresh ingredients makes all the difference. I could have eaten the entire pan by myself! Pancetta does wonders when it comes to vegetables! I’ve heard that Stir is a fun spot. It was an amazing experience. You got me hooked to mixing drinks, but I am gonna just hop on over to your place. You anyways make them THE BEST! Thank you <3 for this experience! 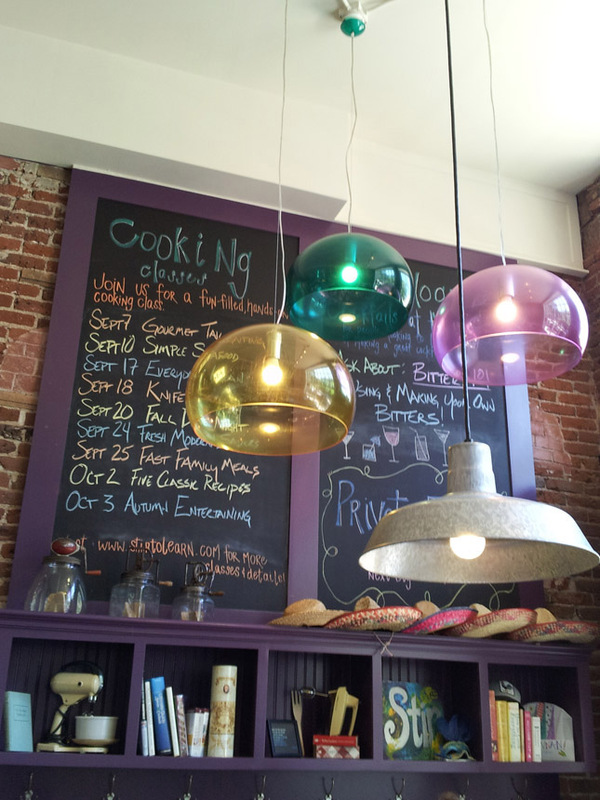 Great post Barbara… and some exciting dishes there. Snap on the beans recipe… am about to post something similar. There is a dying art to cooking green beans and they really need to be on the menu again! Sounds like a lot of fun! The green bean dish looks wonderful. I’m a sucker for red onions with green beans (or almost any green veggie), and pancetta? Yes. 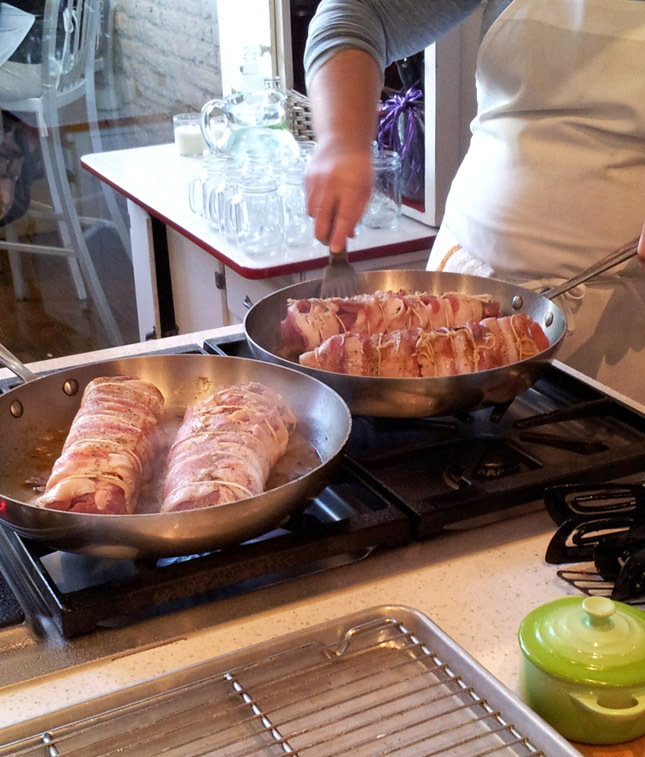 I’ve done something similar in the past with bacon, but pancetta would be lovely. Fun post – thanks. It was too simple to be so dang good…aren’t those the best kind of dishes John? I want to go back just because it was so much fun…and the booze part did not hurt! Gorgeous shot of those green beans, wow! 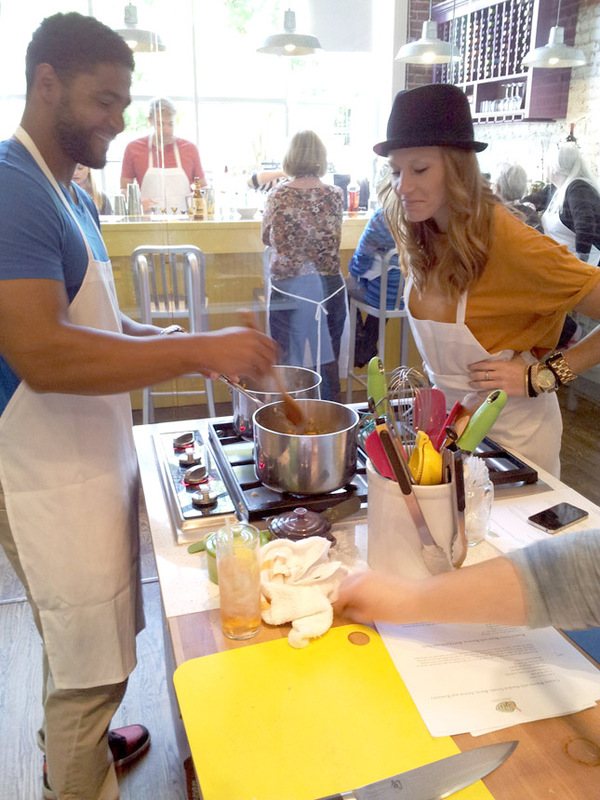 Sounds like such a fun visit to the cooking school too 🙂 Great write up Barb!